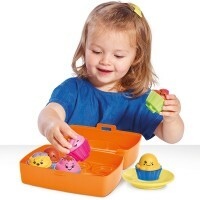 Shapes, colors, sizes, and splashing fun - all in one colorful set of bathtub cups! 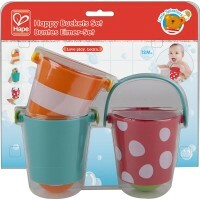 Kids love pouring water in and out of the nesting cups in a tub or kiddie pool. 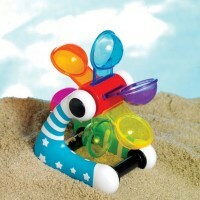 This classic bath toy will surely keep your child busy during their wash time or splash time. 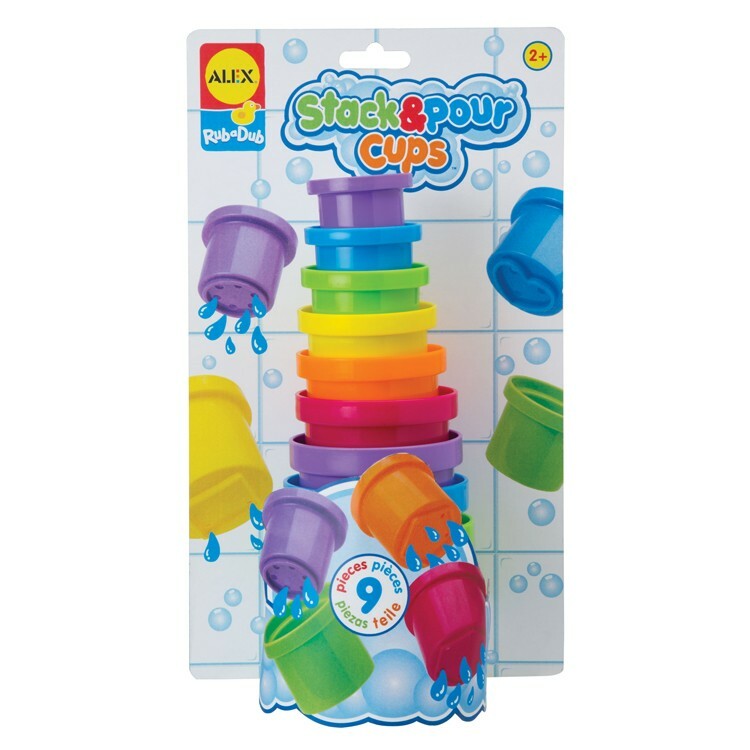 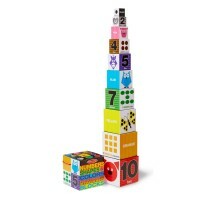 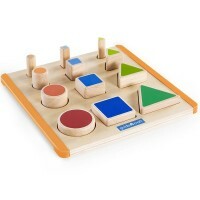 Stack & Pour Cups Bath Toy by Alex Toys is simple, entertaining and educational. 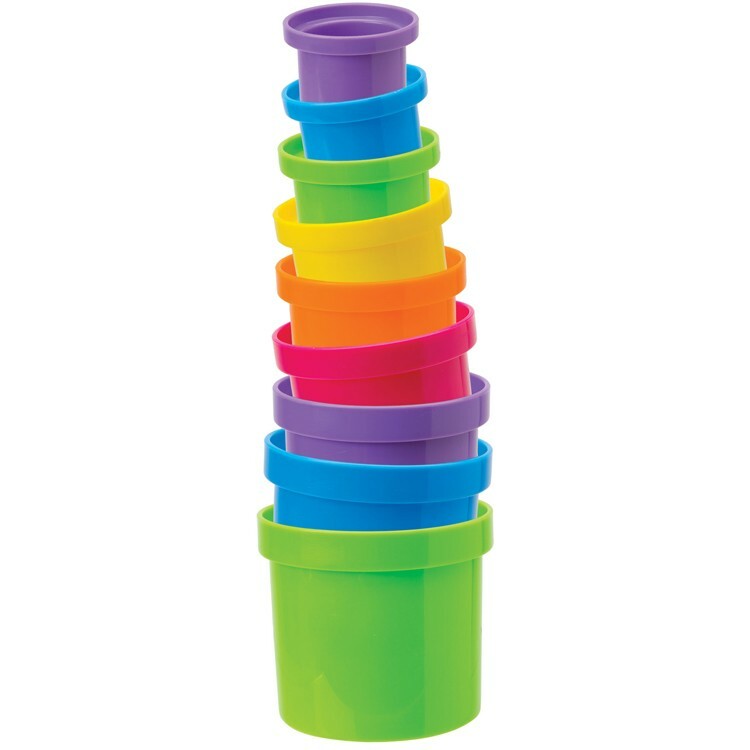 Toddlers and preschoolers will learn colors and shapes, develop their small motor skills, and play multiple games with this set of pouring cups. 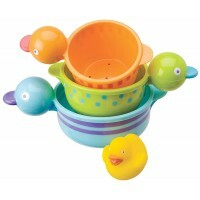 Stack & Pour Cups Bath Toy comes with 9 nesting cups in different bright colors. 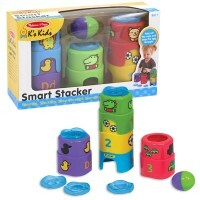 Stack, nest, pour water in and out, build towers, sprinkle, splash and have tons of manipulative fun in a tub or out with this Educational Toys Planet's toddler stacking cups set. 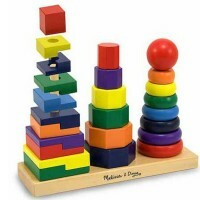 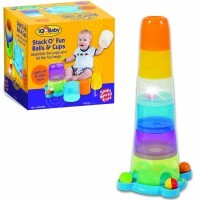 Dimensions of package 12.2" x 18" x 7.8"
Write your own review of Stack & Pour Cups Bath Toy. Rating: 4 The cups don't stack up above each other as shown on the picture by Mchvz The cups look like the pic but are held above each other my little pieces of cardboard the cups are hard to stack inside each other and take out because they they are all the same height so disappointed about that.